Grow.upp Soft Foam Platform Combination Preschool 11, by HABA. 6 pieces. 4 1/2" H, 8 3/4" H, 13" H, 17 1/2". Space requirements: 115 ½“ x 88“. Colors as shown, in CanvasBione Fabric. Grow.upp Soft Foam Platform Combination Preschool 12, by HABA. 6 pieces. 4 1/2" H, 8 3/4" H, 13" H, 17 1/2". Space requirements: 103 ¼" x 78 ¾". Ten year warranty. Made in Germany. Grow.upp Soft Foam Platform Combination Preschool 10, by HABA. 3 pieces. 8 3/4" H, 13" H. Space requirements: 80" x 68 ¼". Grow.upp Soft Foam Platform Combination Toddler 12, by HABA. 6 pieces. 4 1/2" H, 8 3/4" H, 13" H. Space requirements: 103 ¼" x 78 ¾". Grow.upp Soft Foam Platform Combination Toddler 10, by HABA. 3 pieces. 4 1/2" H, 8 3/4" H. Space requirements: 80" x 68 ¼". Grow.upp Display Case Platform "A" by HABA. Space requirements: 44 ½“ x 36“, H 8 ¾“. Ten year warranty. Made in Germany. Bring nature indoors and discover it while playing – this ingenious platform, with exhibition space under the reinforced glass base, makes it possible. The pull-out drawer can be filled with various materials from nature, and then it’s time to observe. Grow.upp Tretford Carpet Platform Combination Preschool 3, by HABA. 6 pieces. 4 ½" H, 8 ¾" H, 11" H. Space requirements: 141 ½“ x 73 ¾“. Ten year warranty. Made in Germany. Grow.upp Tretford Carpet Platform Combination Preschool 2, by HABA. 5 pieces. 4 ½" H, 8 ¾" H, 11" H. Space requirements: 100 ½“ x 51 ¼“. Ten year warranty. Made in Germany. 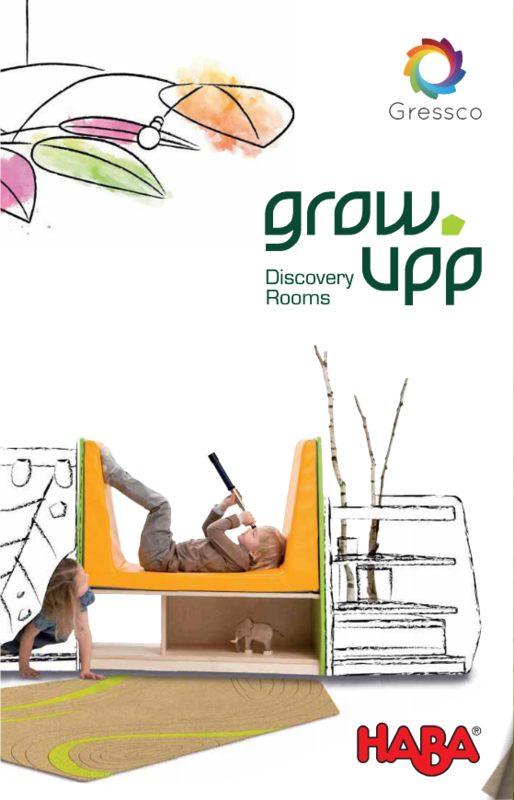 Grow.upp Tretford Carpet Platform Combination Preschool 8, by HABA. 4 pieces. 8 ¾" H, 13" H. Space requirements: 79 ¾“ x 103“. Ten year warranty. Made in Germany. Grow.upp Tretford Carpet Platform Combination Toddler 3, by HABA. 5 pieces. 4 ½" H, 8 ¾" H, 11" H. Space requirements: 141 ½“ x 73 ¾“. Ten year warranty. Made in Germany.